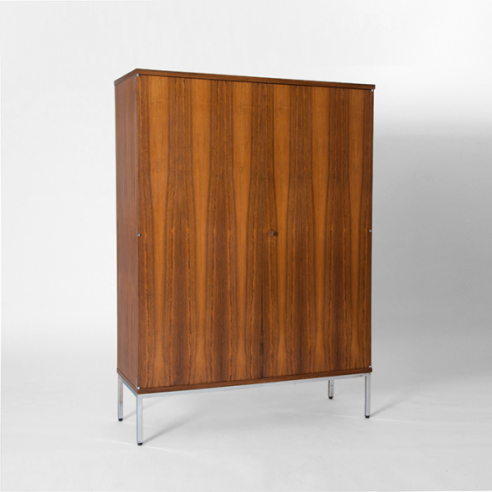 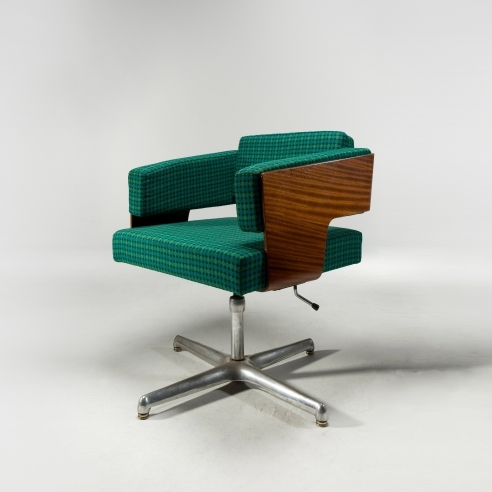 Philippon and Lecoq were among a group of young architects who changed the face of French furniture production in the 1950s and 1960s. 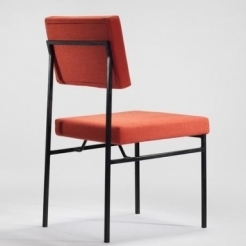 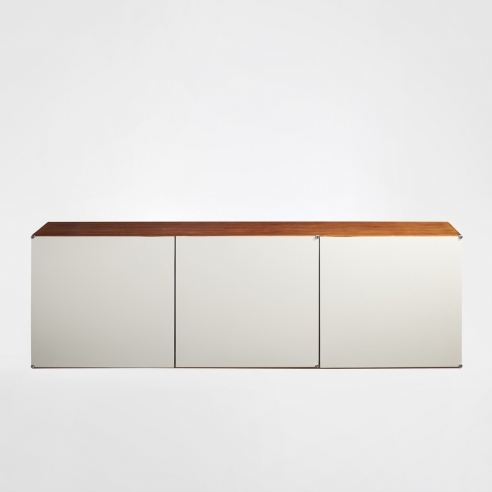 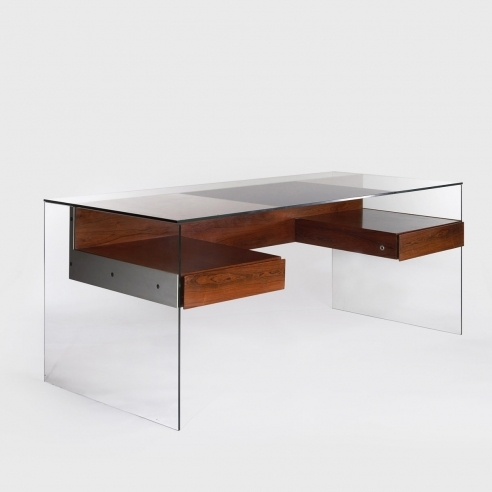 Their furniture combines minimalism with a pervasive sense of architectural refinement and elegance. 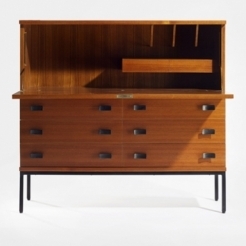 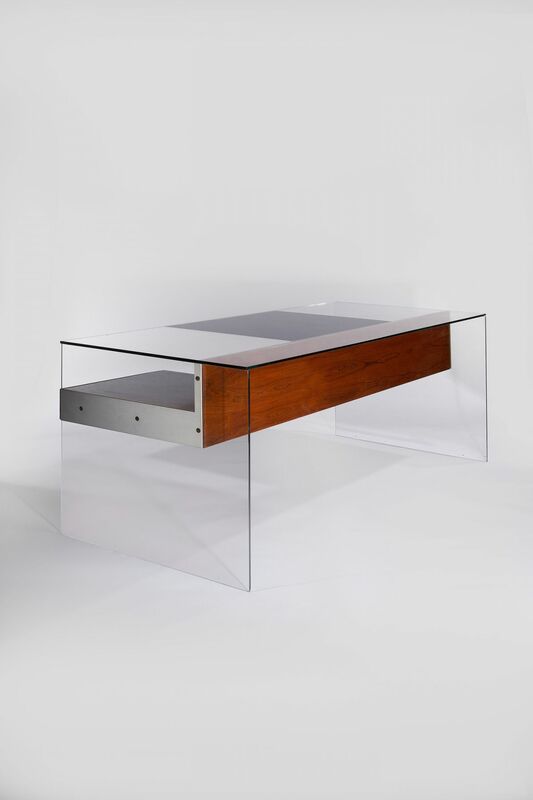 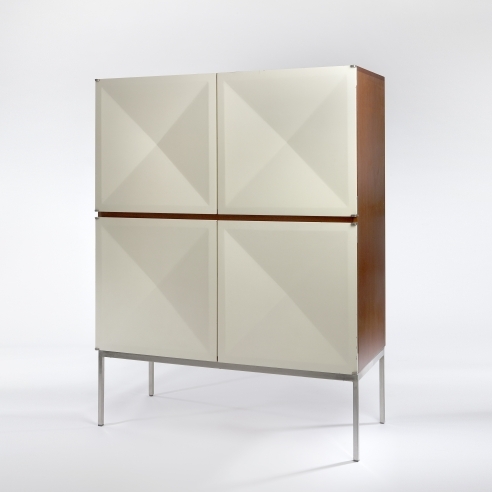 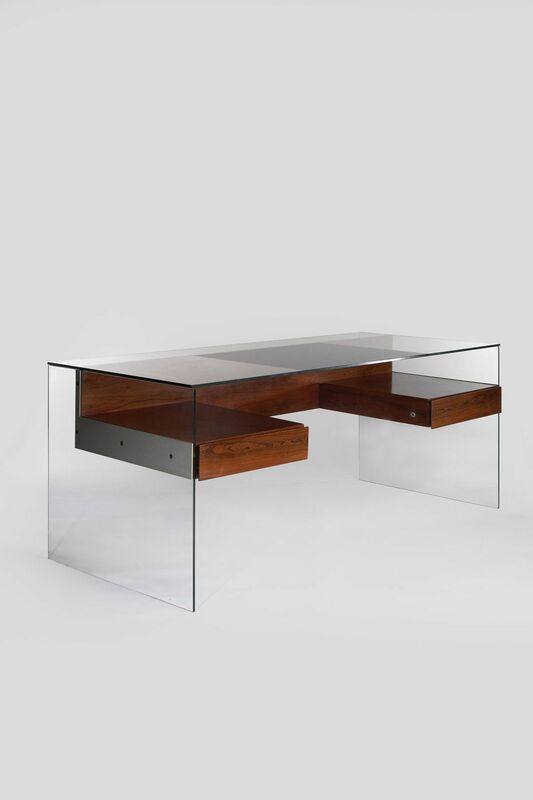 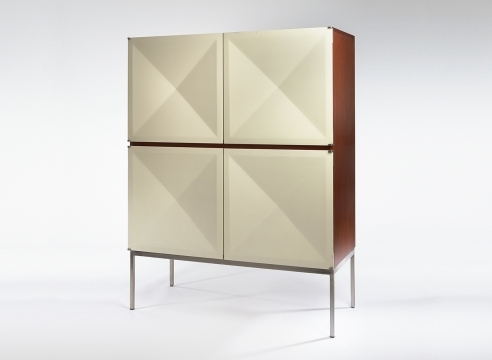 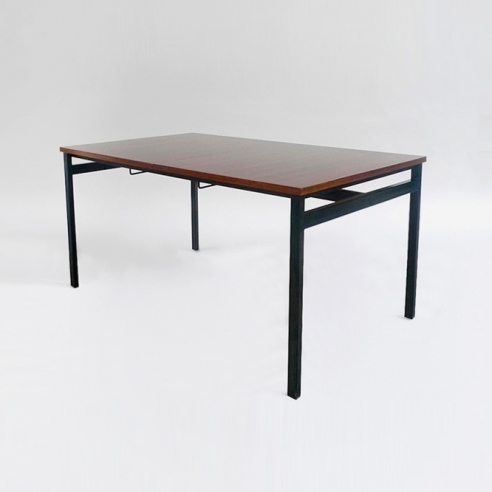 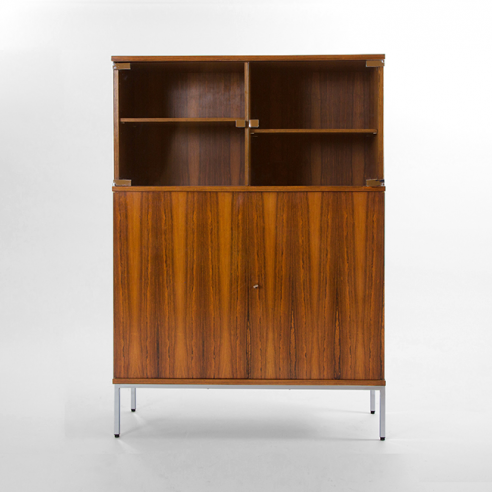 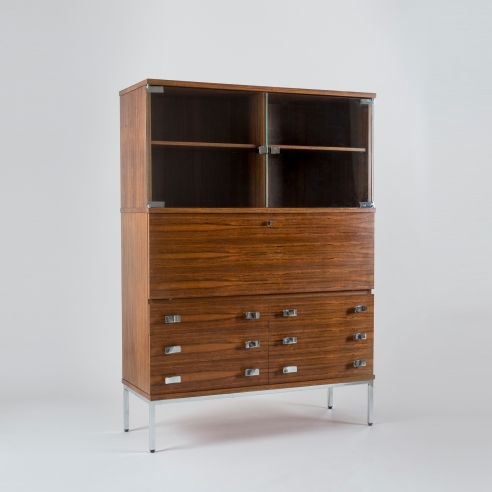 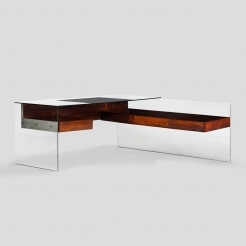 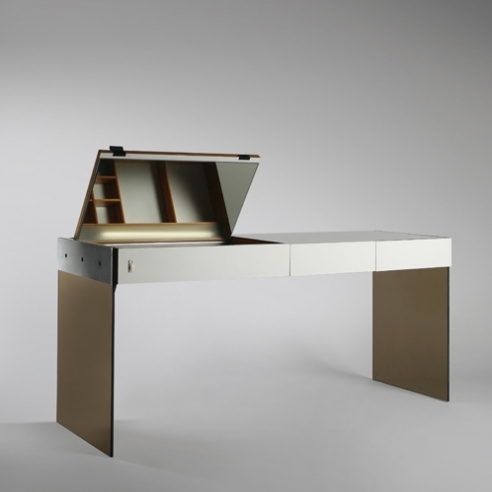 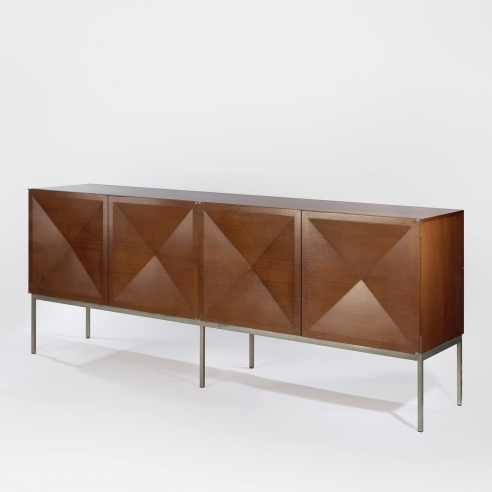 This desk is the first model, produced by Jules Degorre in 1960. 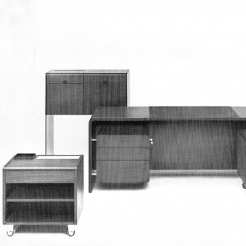 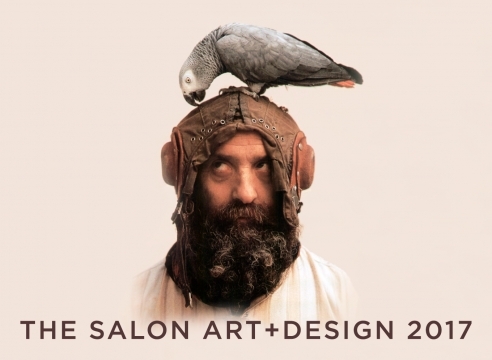 It is an exemplary witness of the duo’s obsession with orthogonality and minimal structures.